Lyn Gardner: Must the show really always go on? On Friday, Mark Shenton drew attention to a string of recent interviews with Sheridan Smith, in which she was startlingly honest about her panic attacks and very public breakdown in the wake of her father’s diagnosis of cancer when she was starring in Funny Girl in the West End. But must the show always go on? When David Tennant, then at peak Doctor Who fame, hurt his back while playing Hamlet for the Royal Shakespeare Company, nobody thought that he had to continue. The show did go on, but with the excellent Edward Bennett as the great Dane. 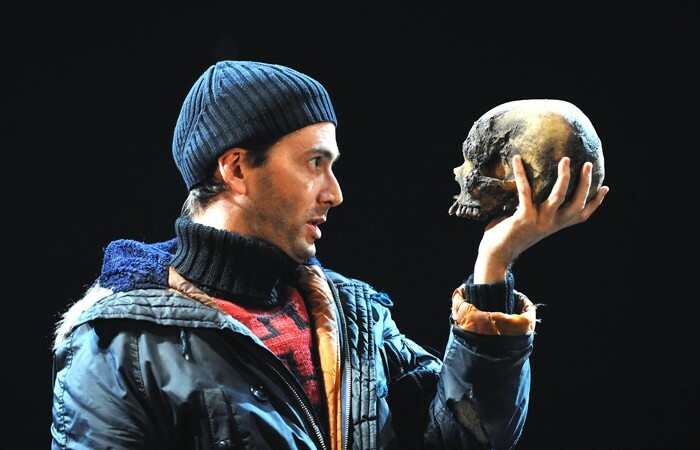 Yes, some theatregoers, including my own family, were disappointed not to see Tennant as Hamlet, but everybody understands that while actors don’t ever want to disappoint audiences, sometimes illness intervenes. So why is a mental health crisis, or, indeed, a family emergency, treated with less compassion than a physical illness? And why did Smith feel the show had to go on even when she was distressed and ill? The way she was treated in the wake of her onstage meltdown – including some snide remarks at the BAFTAs – had echoes of the way Stephen Fry was treated more than 20 years previously when, after poor notices, he simply vanished from Simon Gray’s Cell Mates. A decade later, Fry explained that he had suffered a breakdown and contemplated suicide. You might think that two decades on we would be more understanding, but, despite increased awareness of mental health issues, the profession still clings to the idea that the show must go on, regardless of the personal cost to those involved. Of course, theatre is a service industry and the kind of business in which people go the extra mile not to disappoint those who have bought tickets. We all know that a cancelled show may well ruin a big family occasion. But the health – both mental and physical – of those working in the profession is important too, as are personal relationships and family life. Not long ago, I heard a director talking about an actor who had temporarily withdrawn from a touring production to return home because his baby son was sick. It wasn’t life-threatening, but it wasn’t just a cold either. After weeks away on tour, the actor needed to be there not just for the child but also to support his partner. The director thought this was unprofessional because several dates on the tour had to be cancelled. But perhaps the actor just had his priorities right. There are times when some things are more important than the job. Nobody thinks accountants should always put accountancy before everything else, so why is the ‘show must go on’ mentality, whatever the cost, so pervasive in theatre? In part, it is because jobs are hard to come by, and nobody wants to get a reputation for unreliability, but most of all I suspect it is because holding it together whatever the stress you are operating under is seen as a badge of honour, part of being a trouper. No wonder so many deal with the stress by self-medicating with alcohol. But being a super trouper can make those who are not really holding it all together and feeling fragile think they have to keep going, regardless. It’s one of the reasons I love Tamara Harvey’s #workingmum tweets, which lay bare the (often very funny) reality of being the artistic director of a major theatre and also the mother of two very small children. We need role models like Harvey because they make other women think that it is possible, but we also need the dose of reality that Harvey offers. It is possible, but that doesn’t mean that it is easy. What we can do to make it easier? As Mark pointed out, the Society of London Theatre and UK Theatre’s Helpline is there to lend an ear and give advice, and ArtsMinds has been founded to help tackle mental health issues in the industry. But we need a wider change of culture. The fact that Charlene Ford, part of the ensemble on 42nd Street, has returned to work after the birth of her son on a three-show-out-of-eight job-share demonstrates attitudes are slowly changing to work/life balance. The Parents and Carers in Performing Arts campaign is making strides in encouraging theatres to adapt their working practices so that those with parenting and caring responsibilities are not excluded and can continue to bring their talent, expertise and experience to the profession. But the pace of change needs to be faster, and one way to speed it up is to rid ourselves of the notion that the show must always go on, whatever the cost to those who make it.